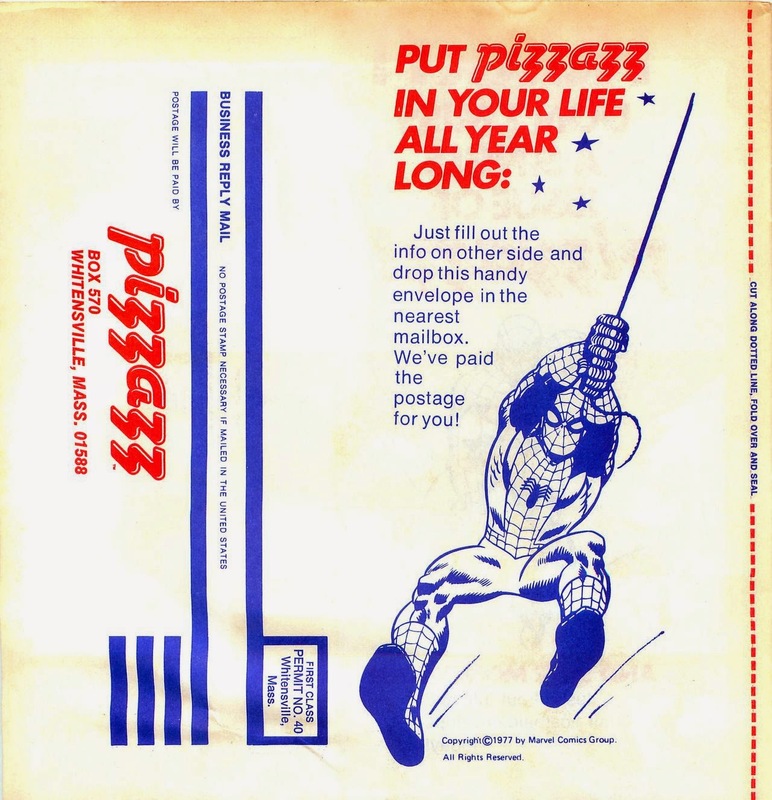 Pizzazz was Mighty Marvel's attempt to snag some of that teen zine scene dollar for itself, and was a lot of fun if you were the right age. 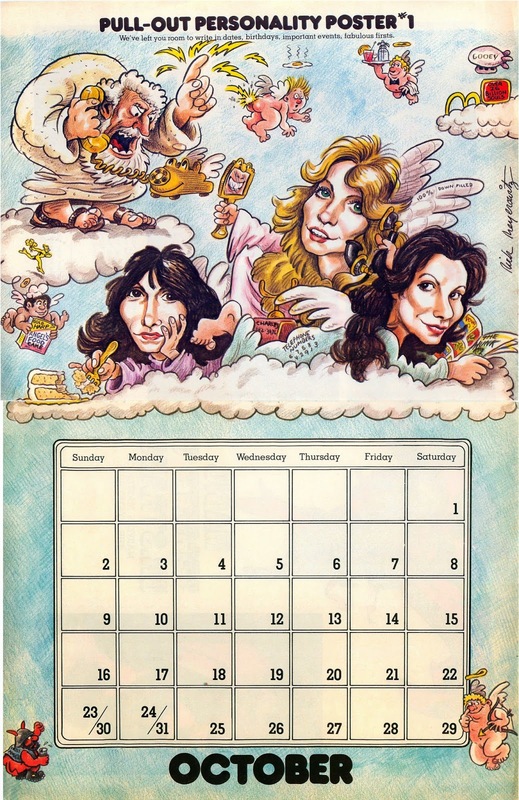 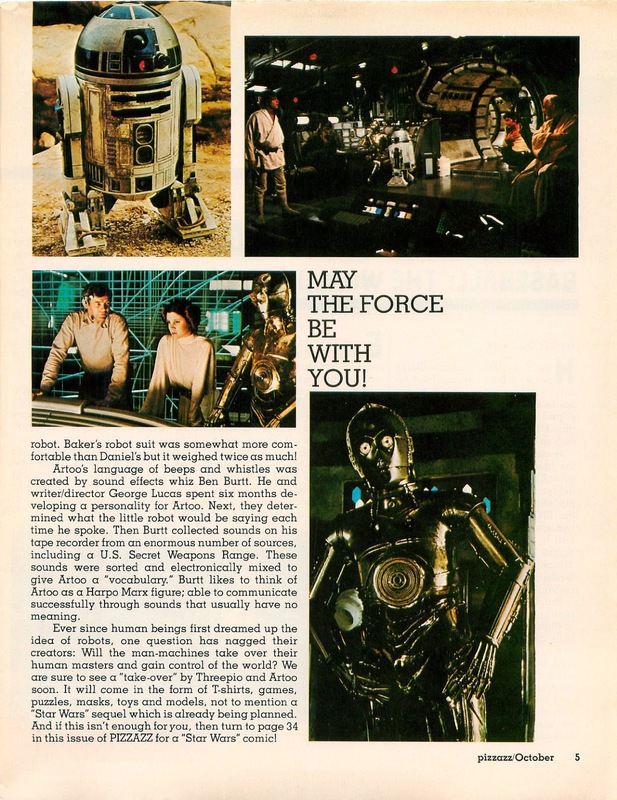 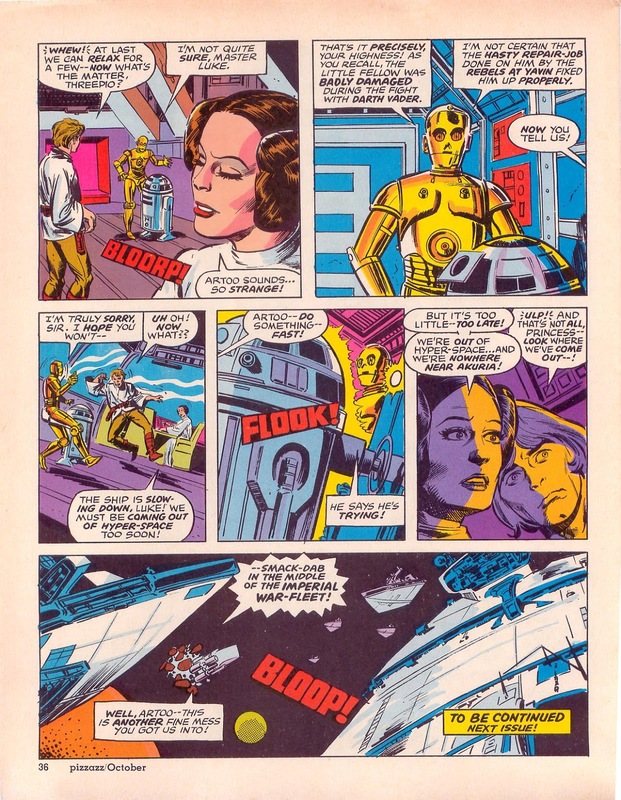 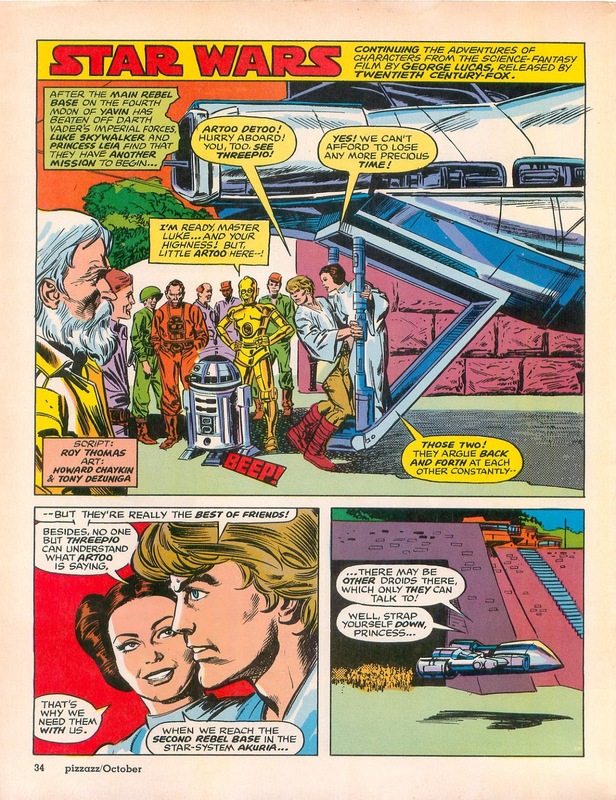 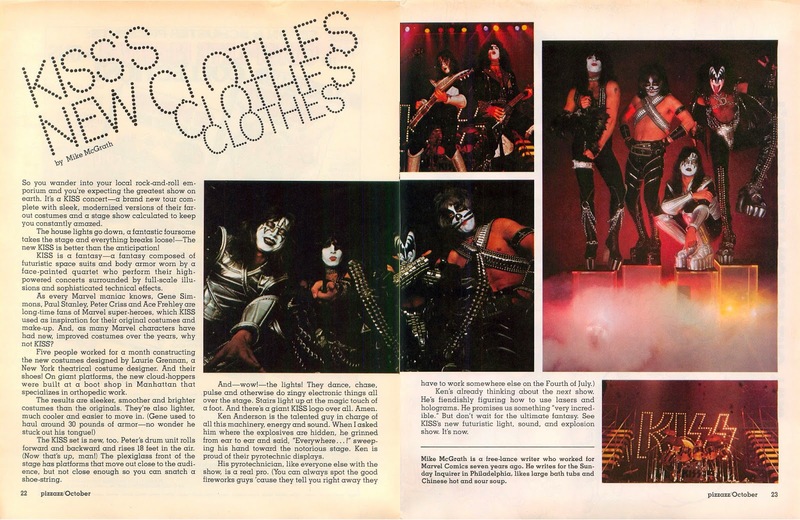 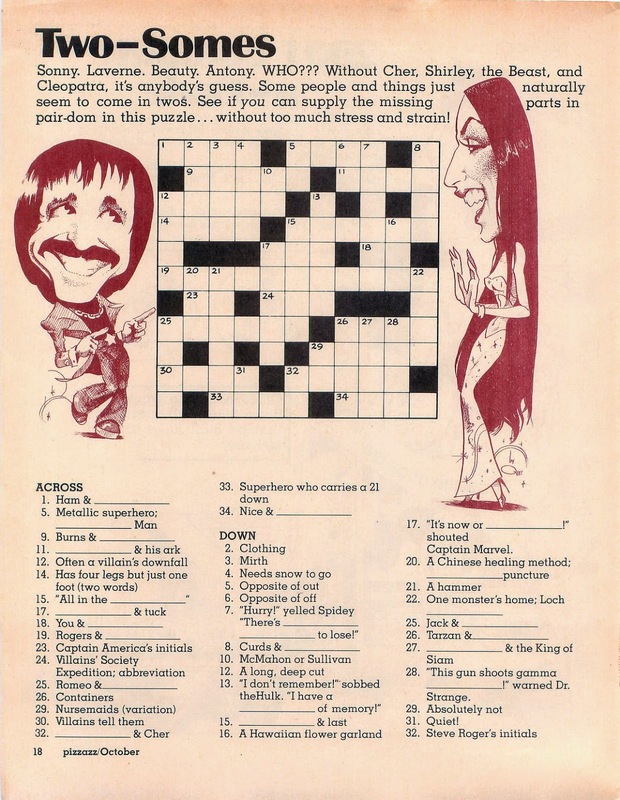 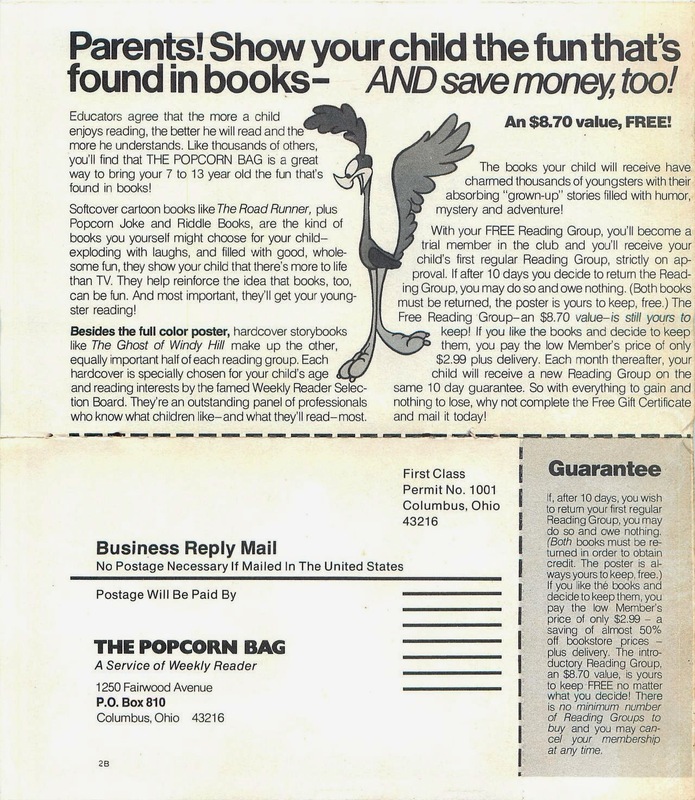 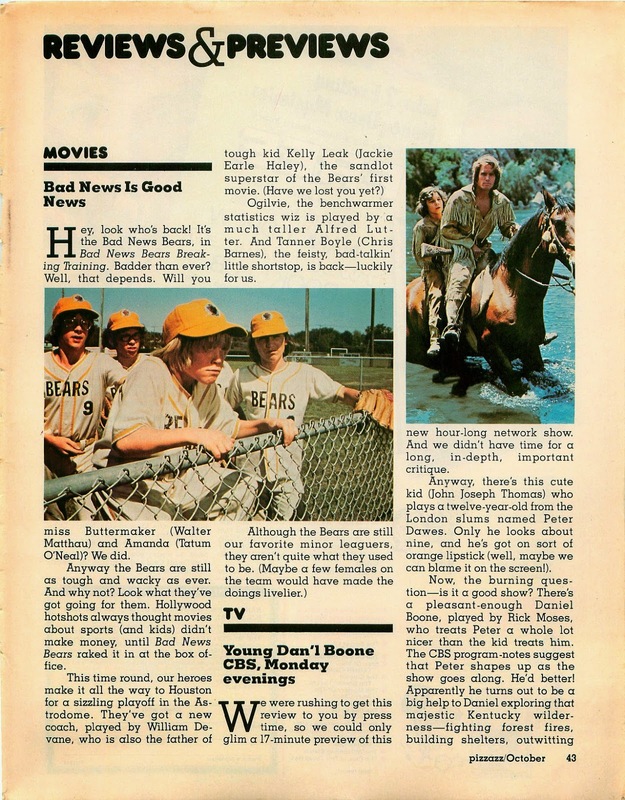 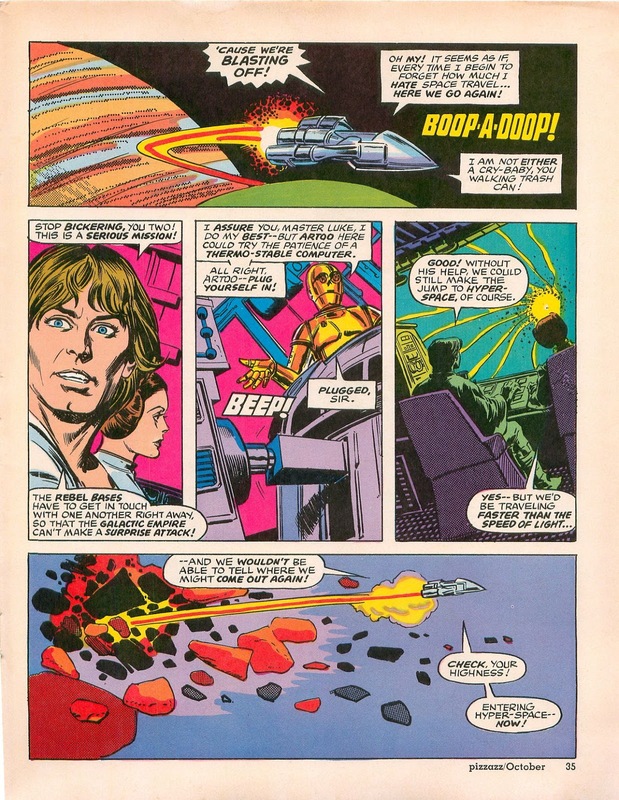 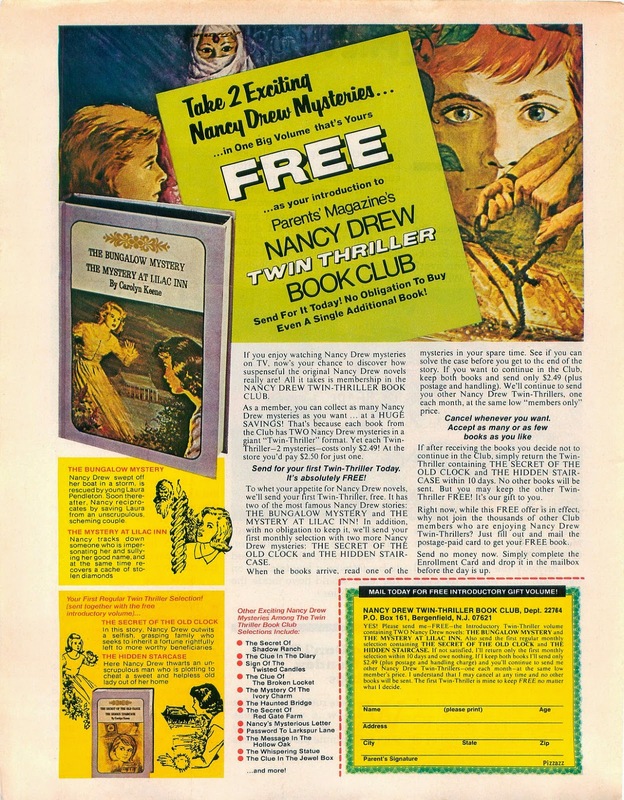 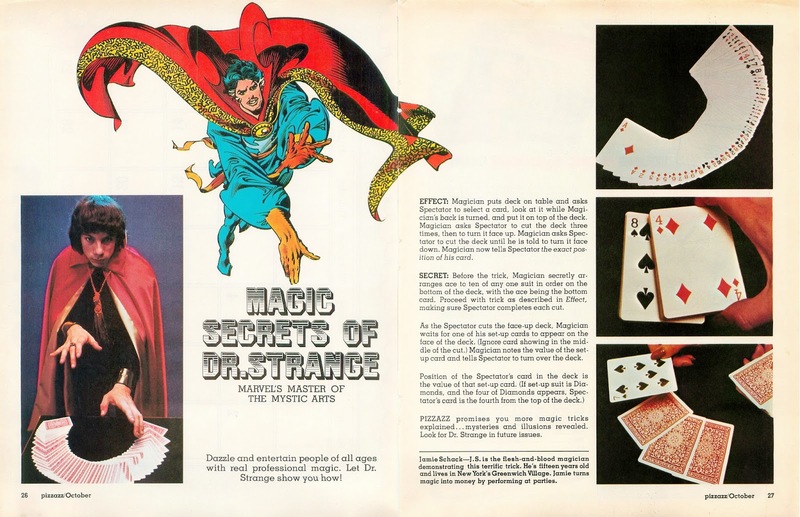 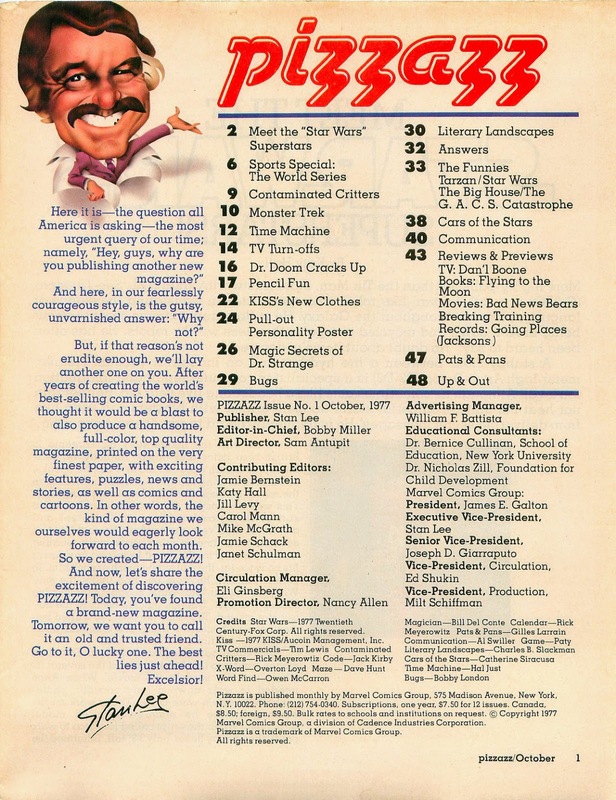 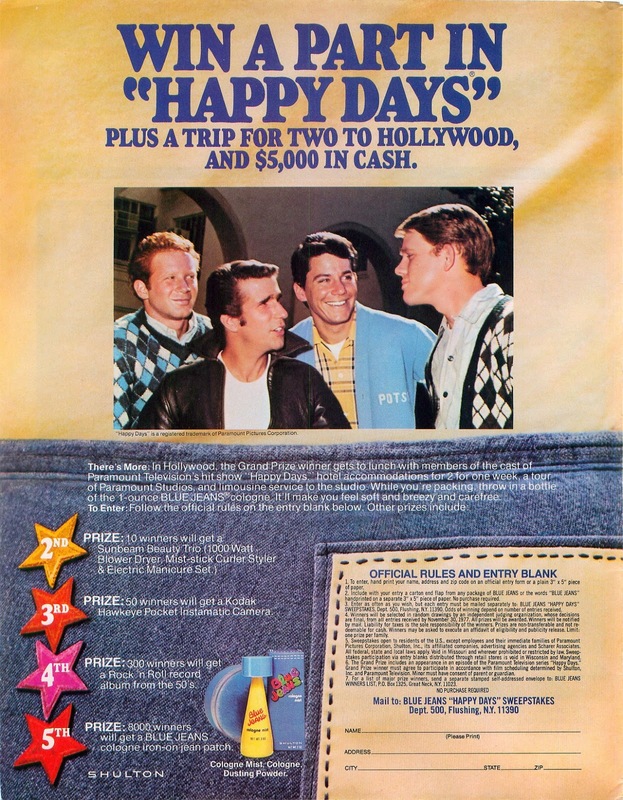 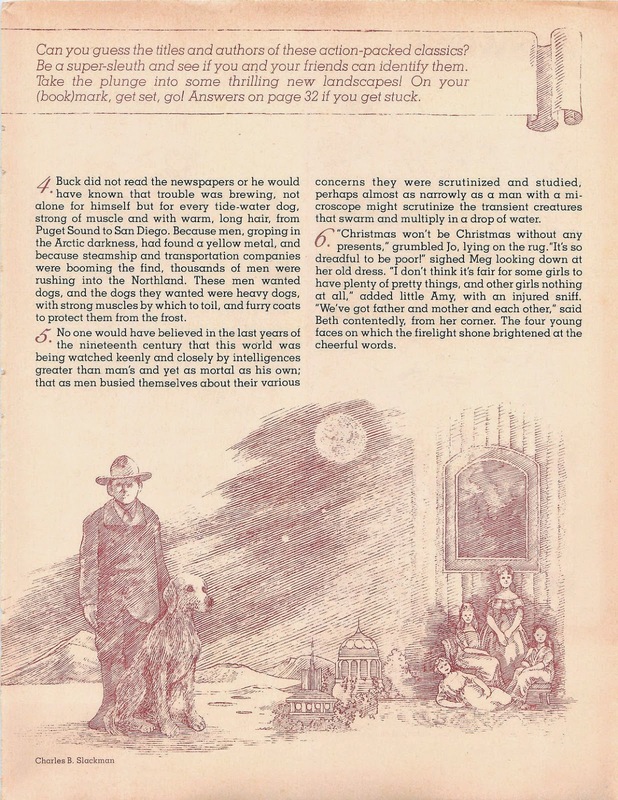 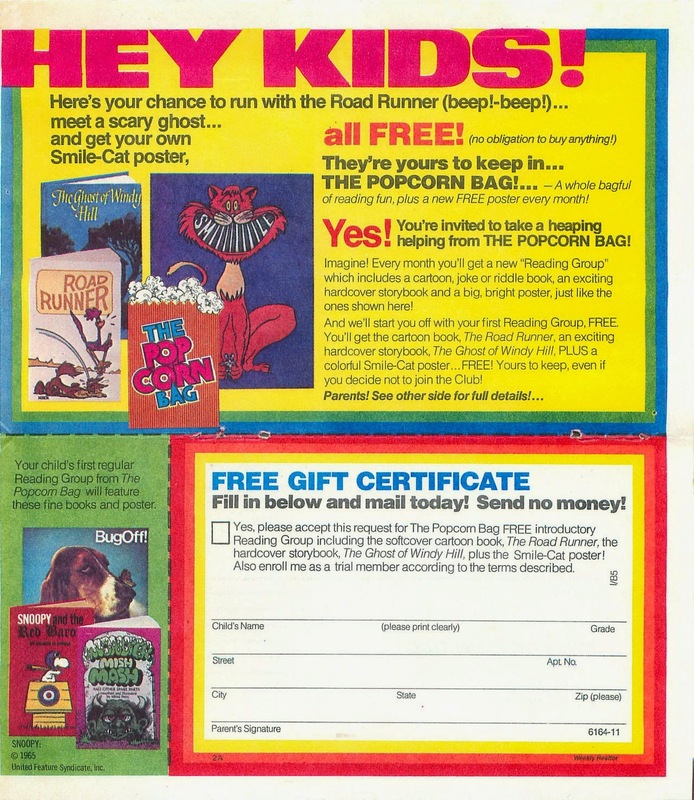 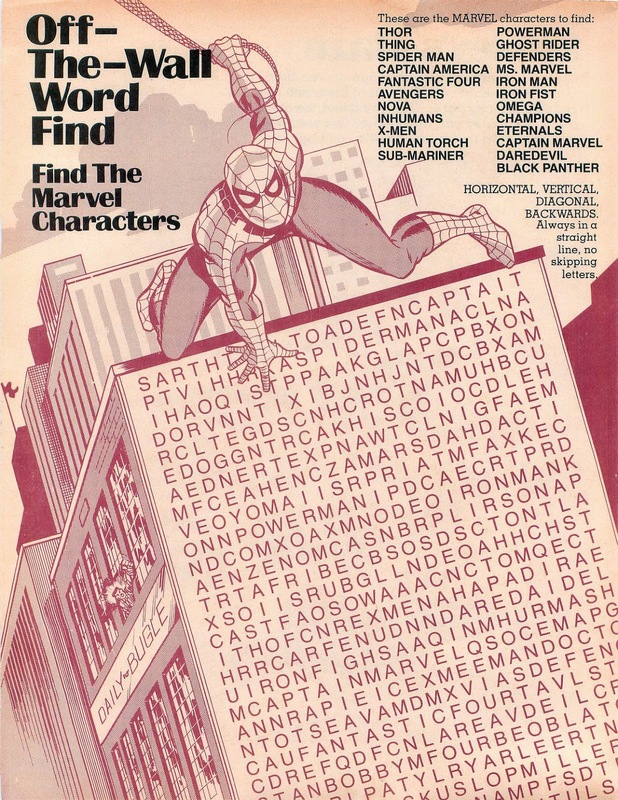 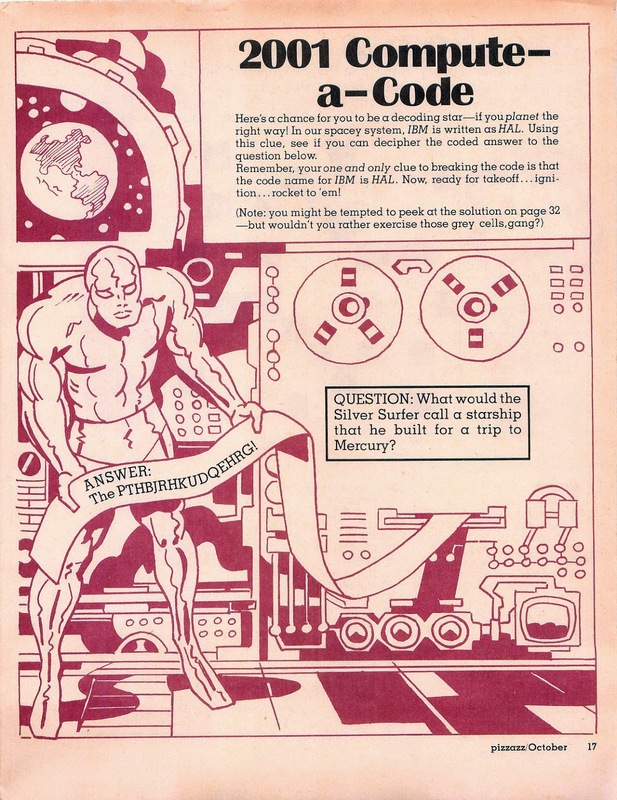 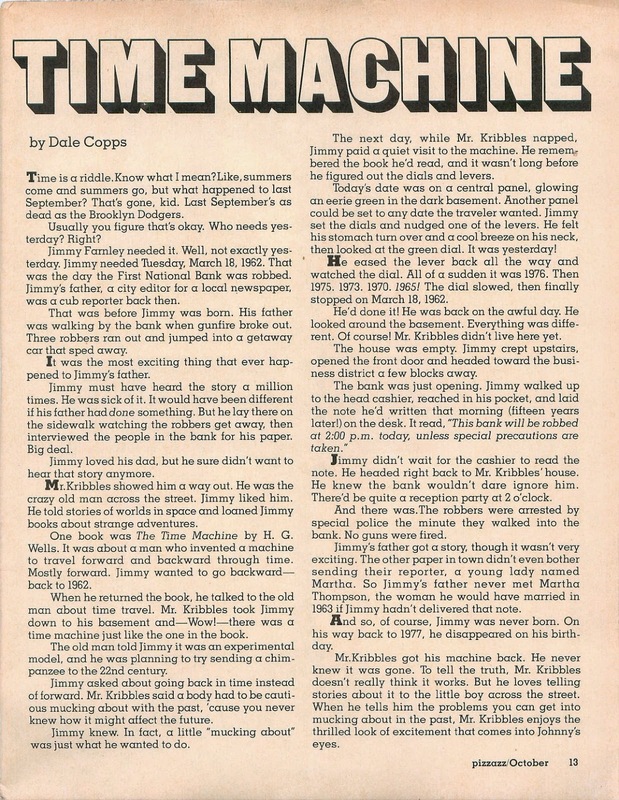 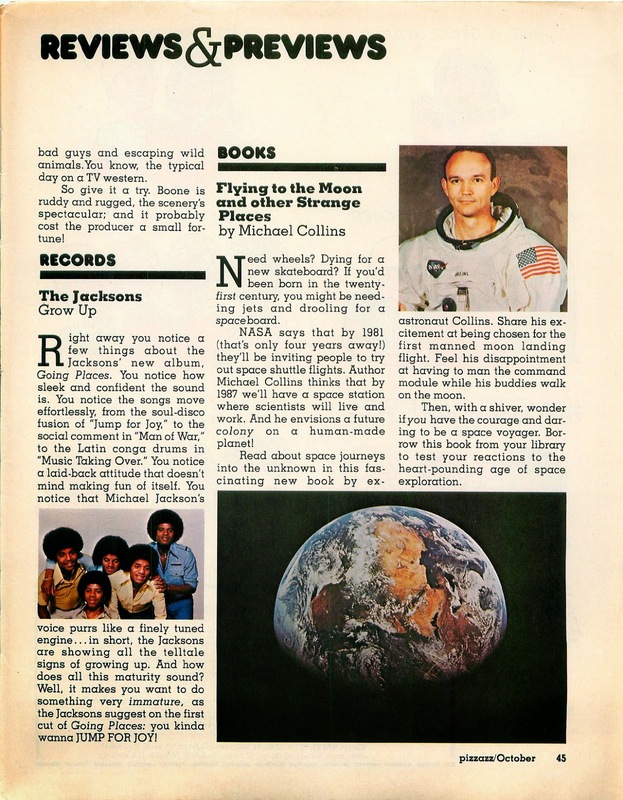 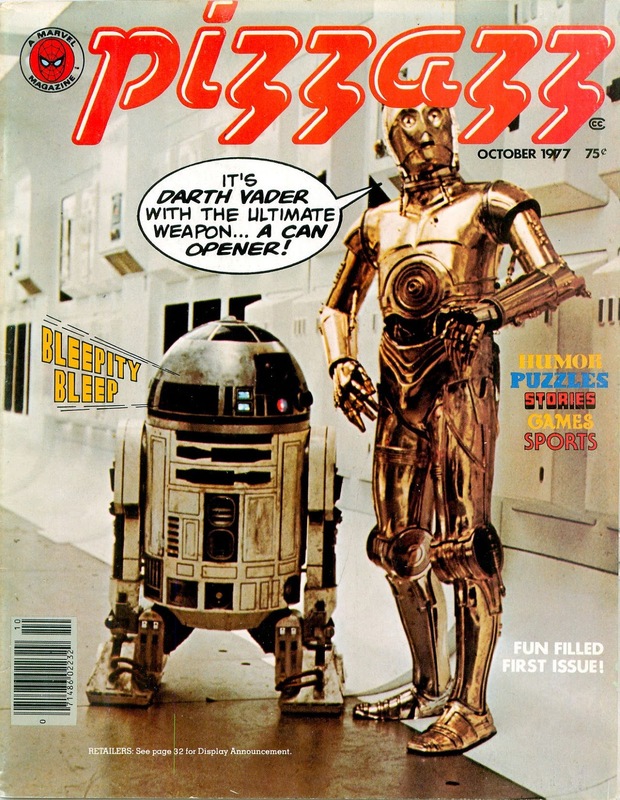 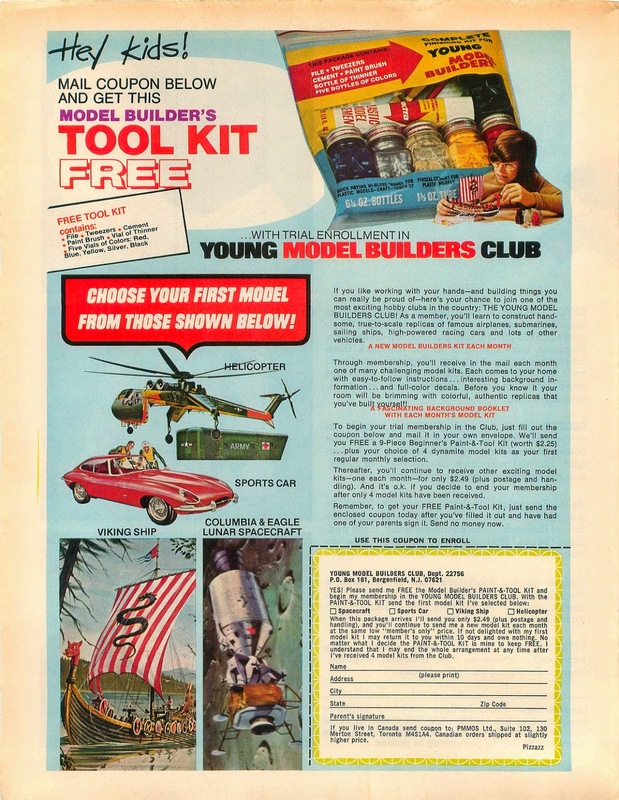 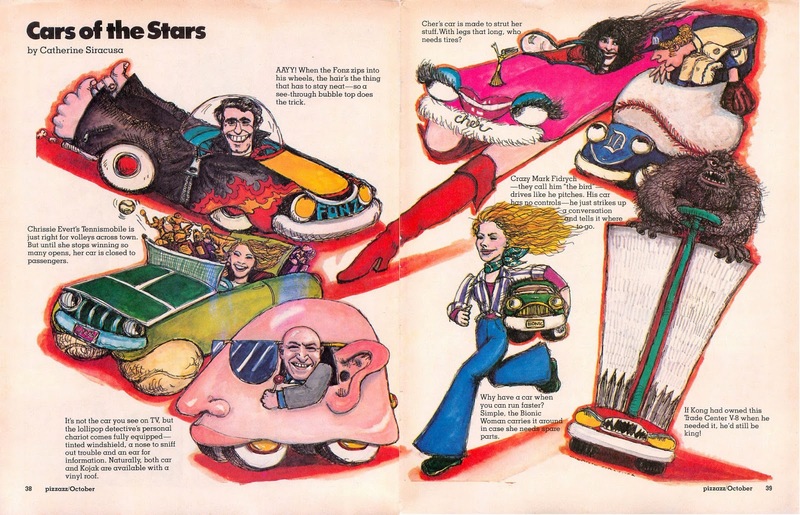 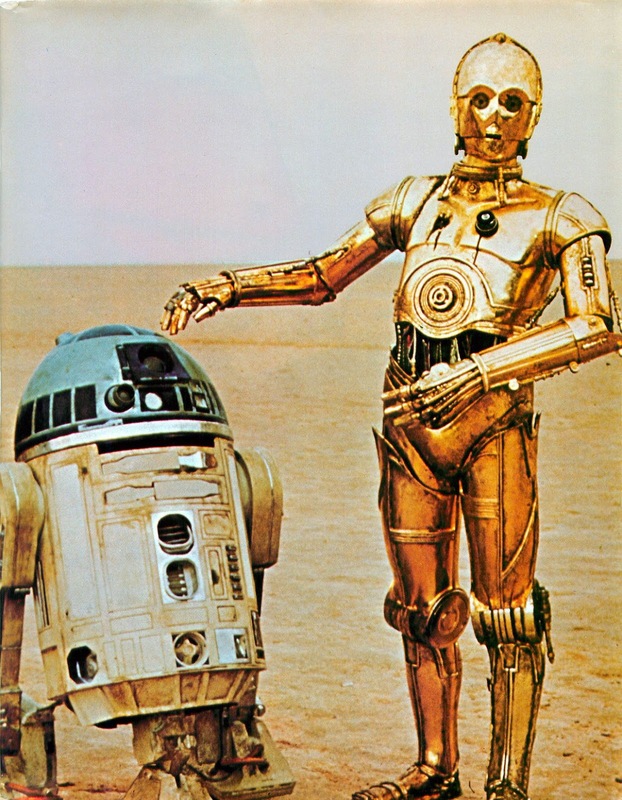 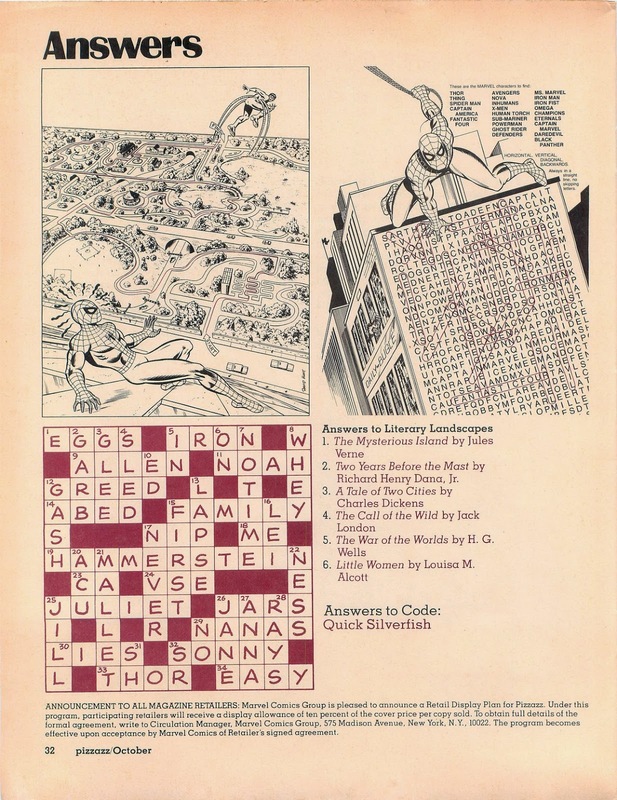 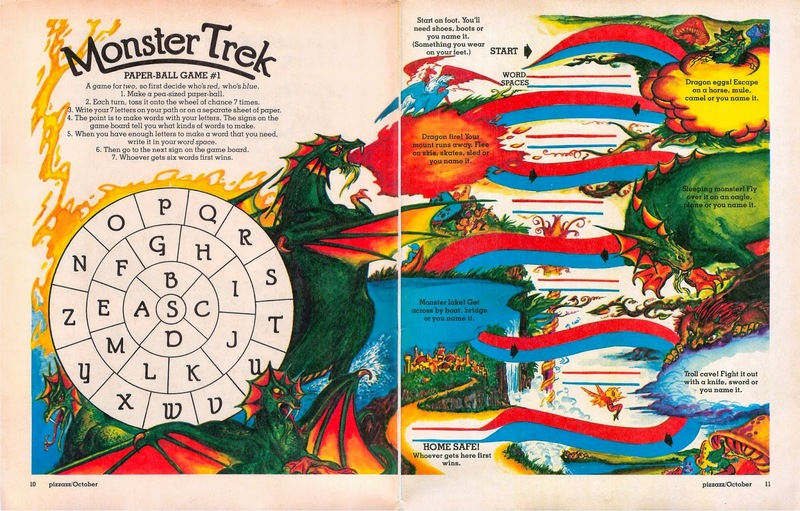 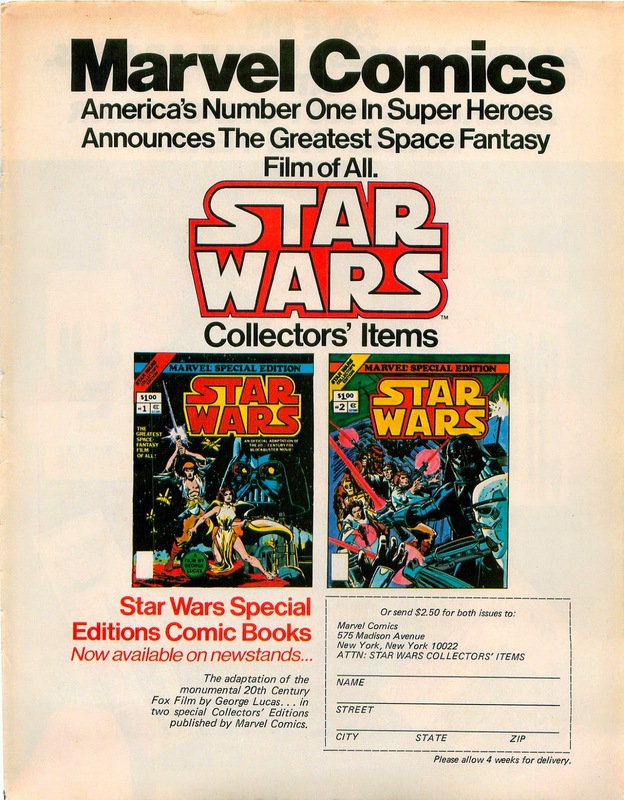 It was slick, and glossy, and had the obligatory articles on Star Wars and Kiss and Charlie's Angels, had puzzle pages and short stories and comic strips and all the stuff a kid likes, and was actually an extremely well put together product. 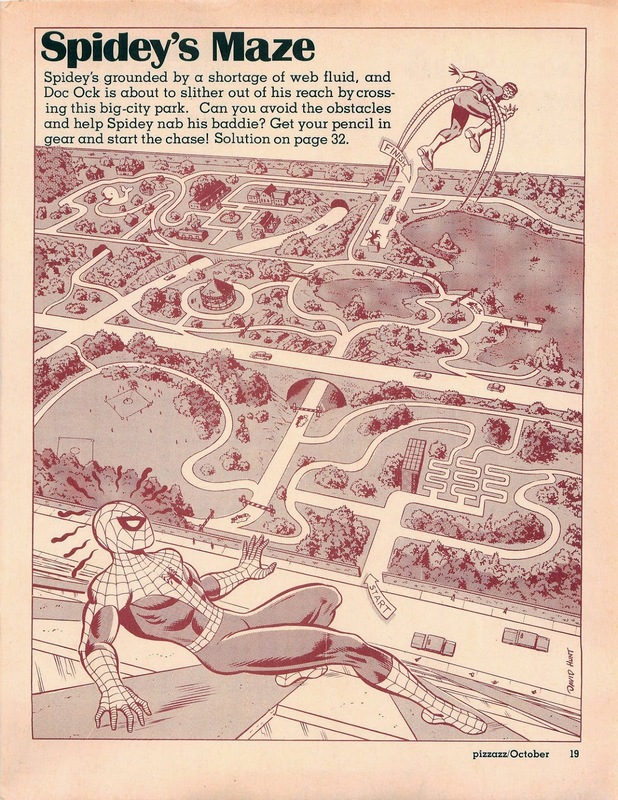 You might not like everything in a given issue, but you couldn't complain there wasn't enough. 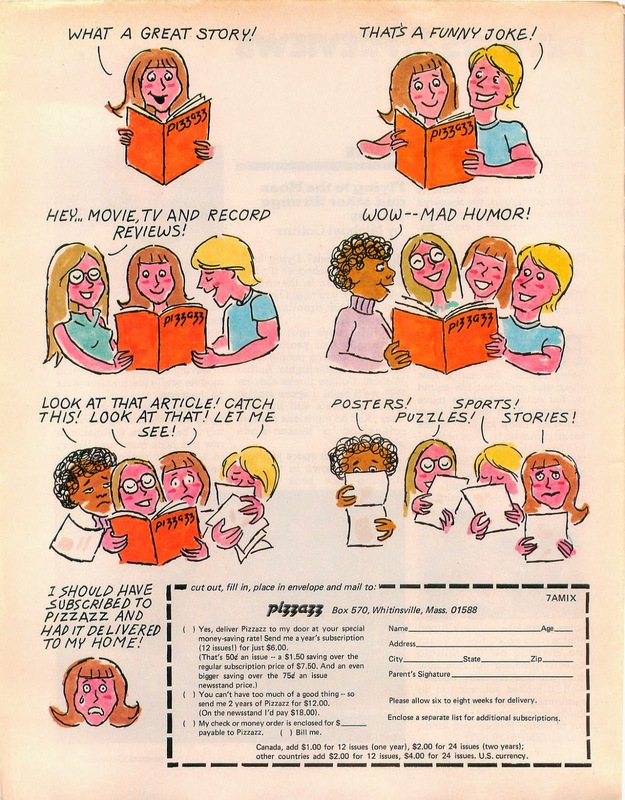 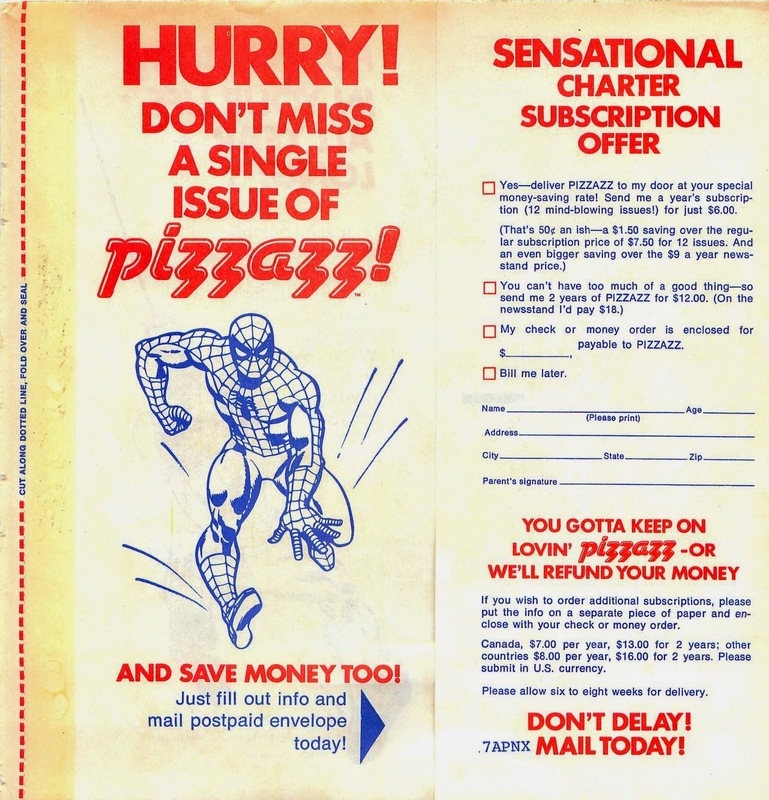 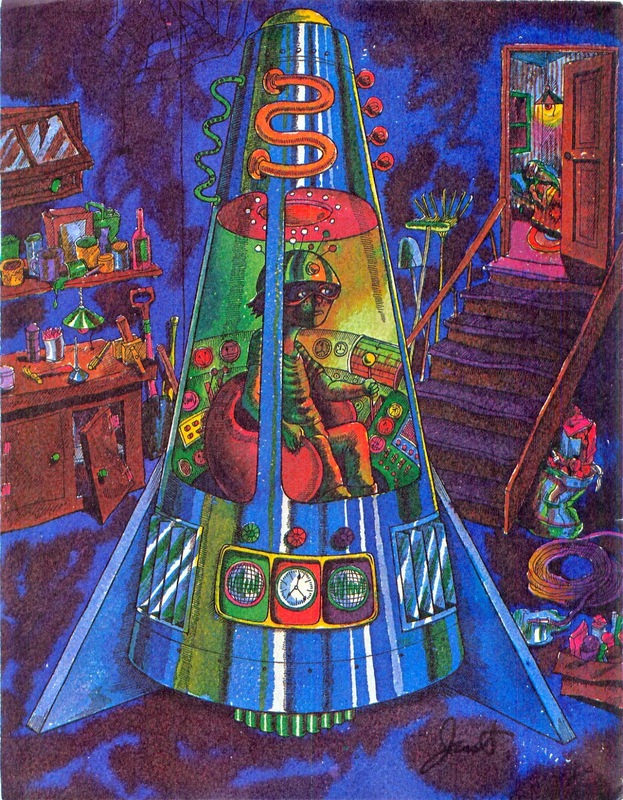 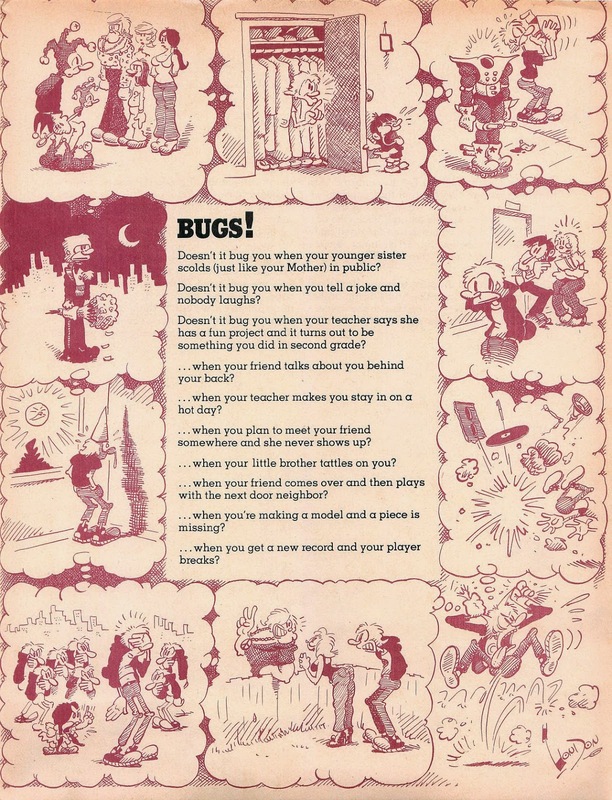 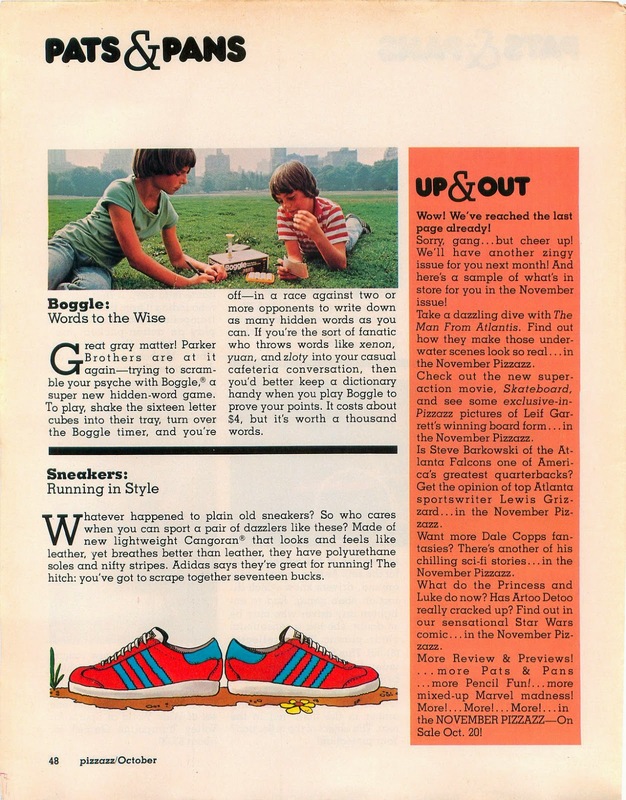 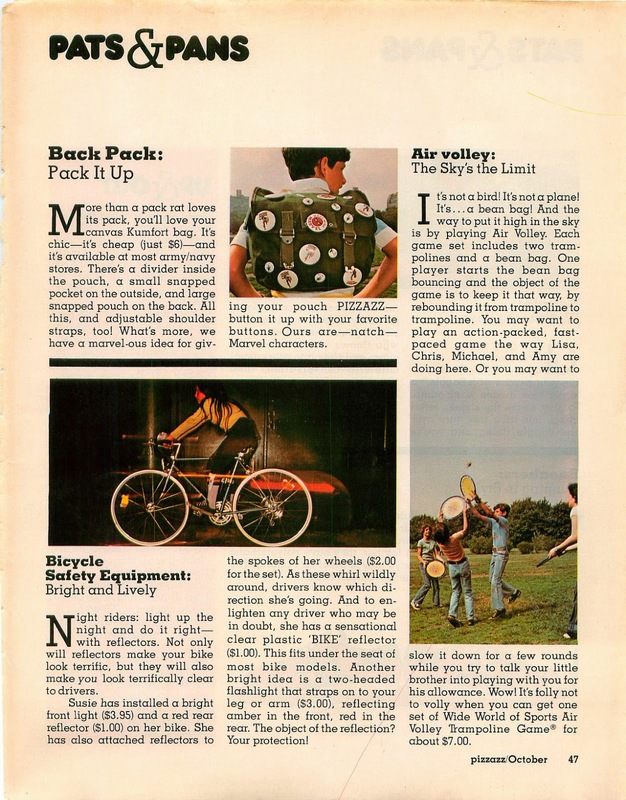 An issue of Pizzazz could last the average kid for hours. 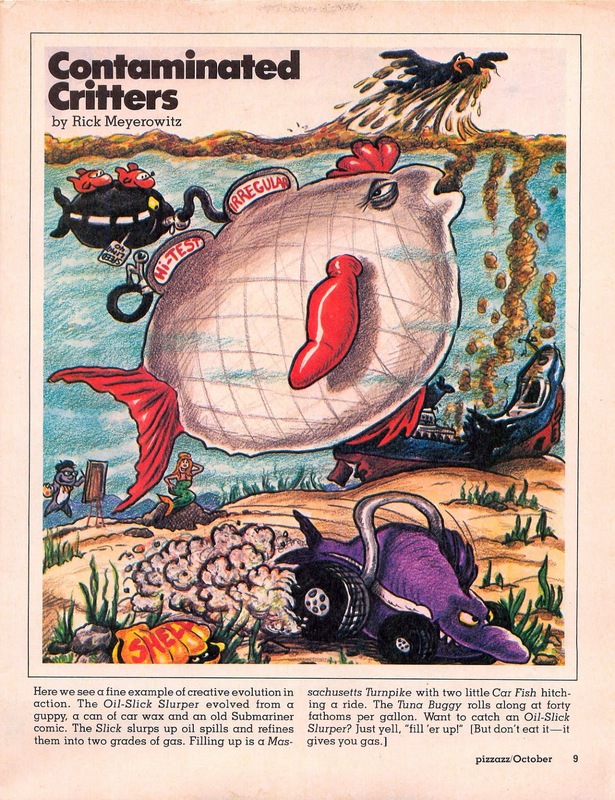 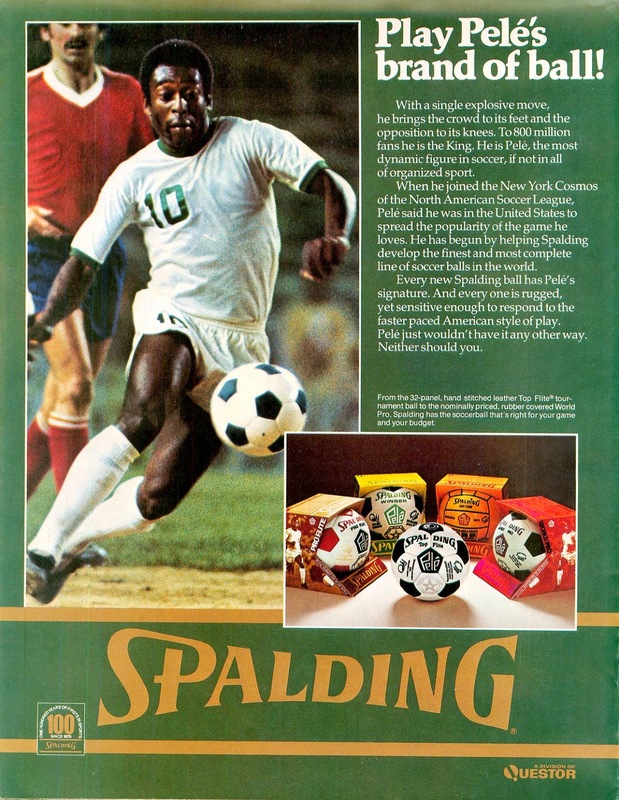 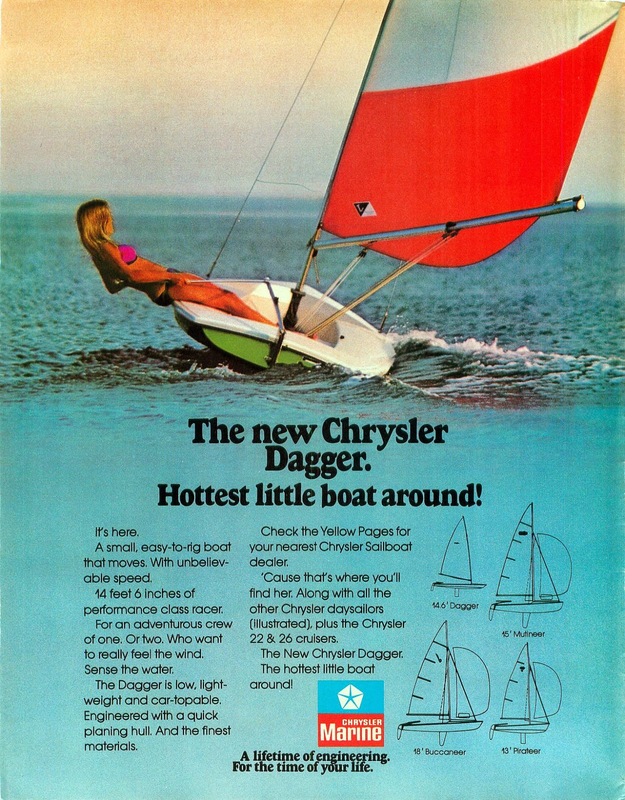 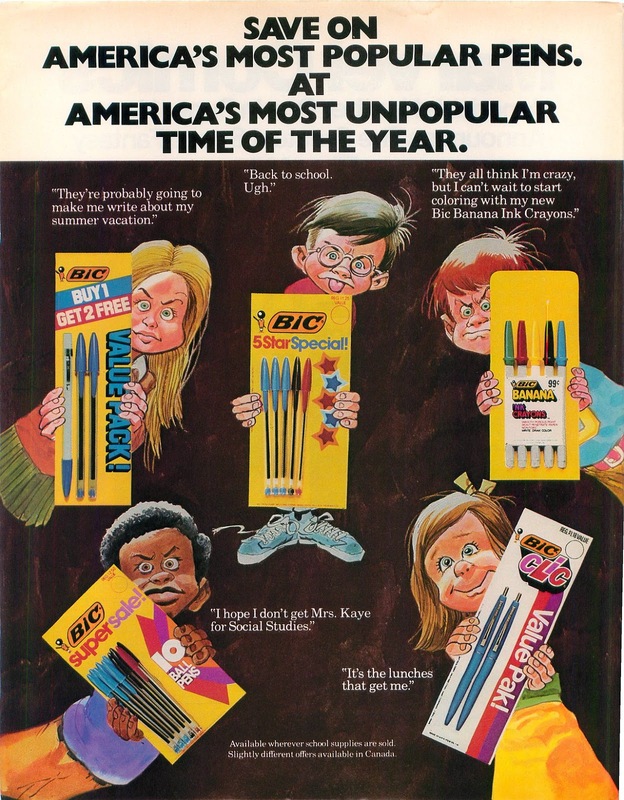 Plus, for us Brits, it was chock full of ads for incredibly exotic American things, none of which we realised we could actually buy too. 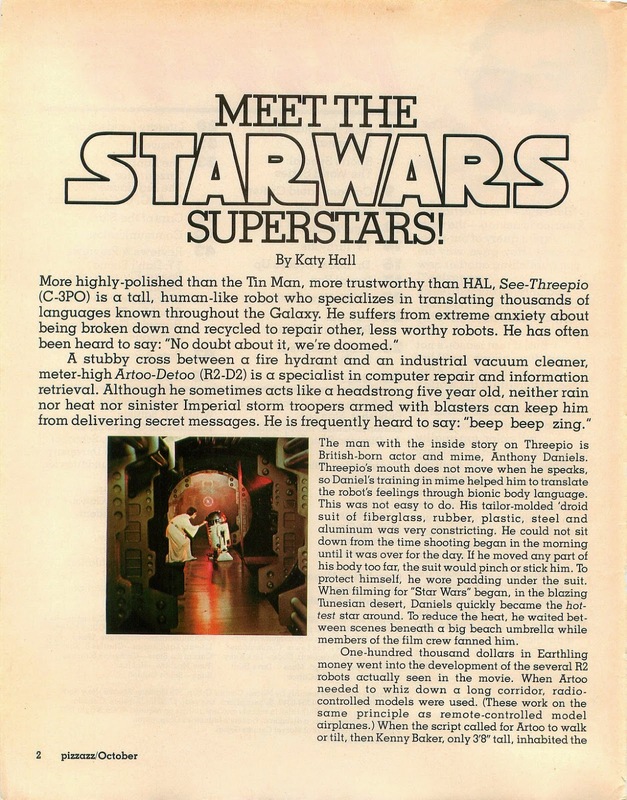 To be fair, the articles are written with all the depth of your average press release, but that's par for the course for this sort of thing. 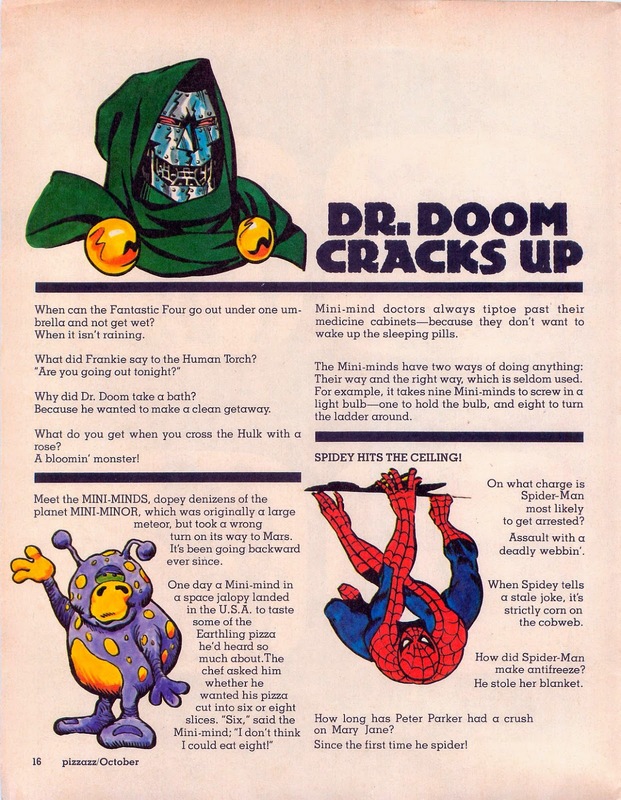 You're also in no doubt that is a Marvel mag, not just because Spidey's face is on the cover, but due to a plethora of our costumed cavorters popping up throughout. 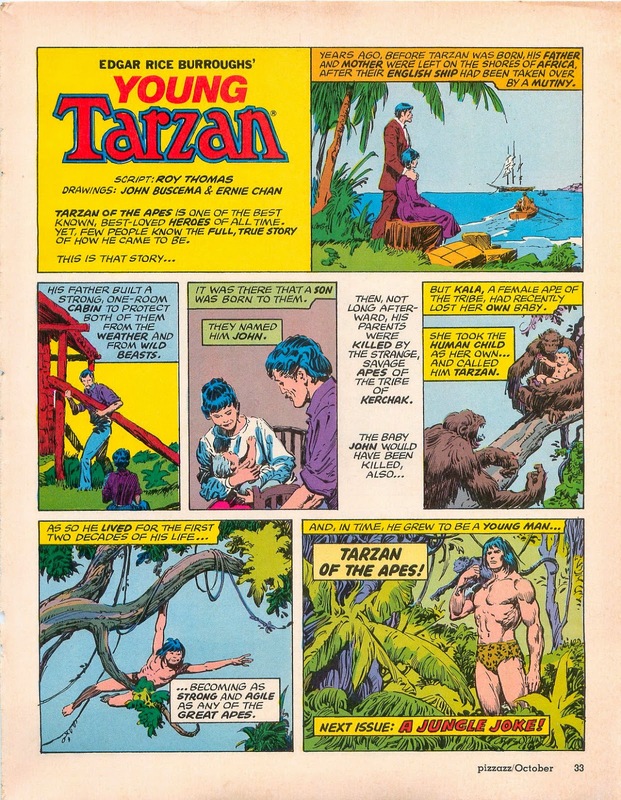 The strips too, are top of the line, with Thomas, Buscema & Chan doing Tarzan, and Thomas again doing Star Wars with Chaykin & DeZuniga. 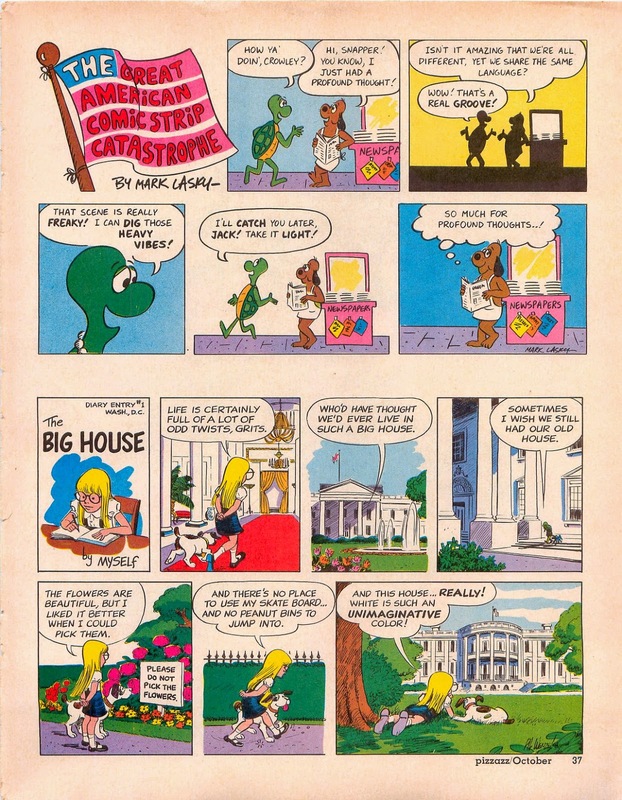 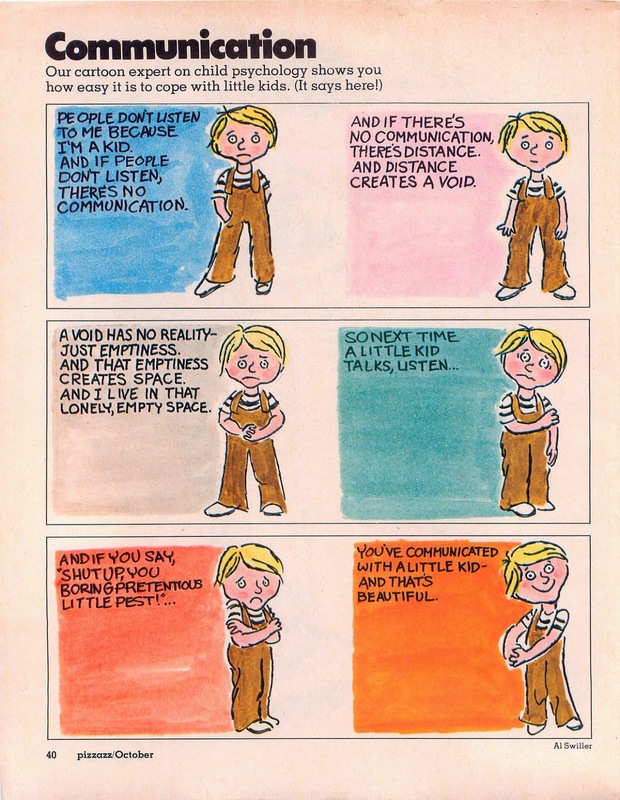 I even like slyly political piece The Big House, and if there's a better title than The Great American Comic Strip Catastrophe I've yet to come across it. 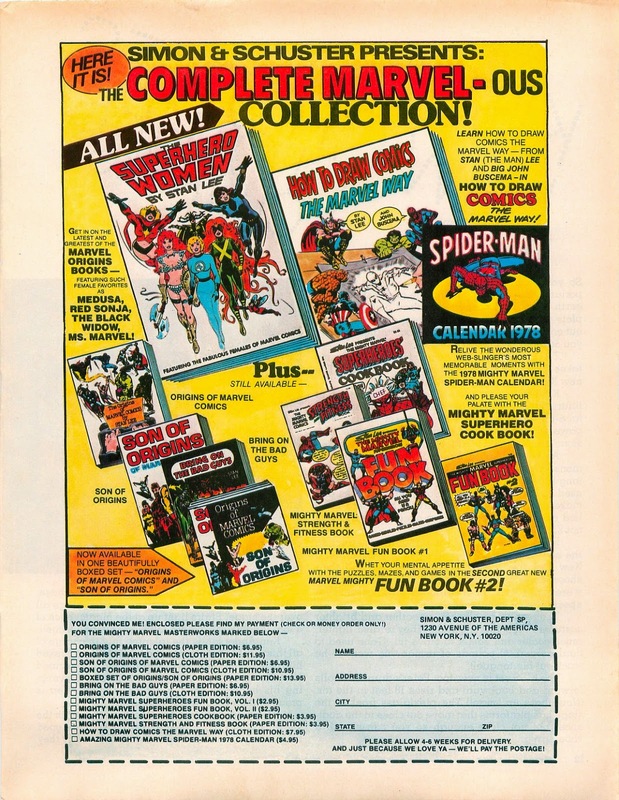 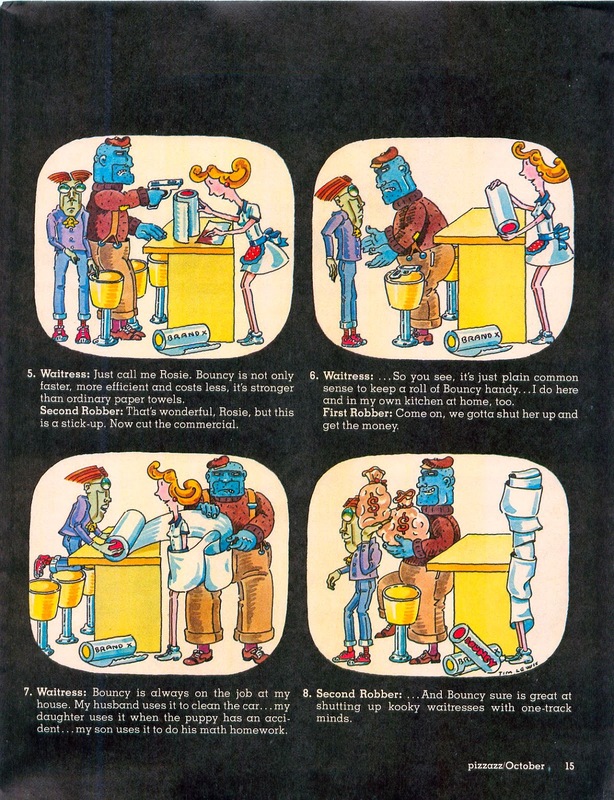 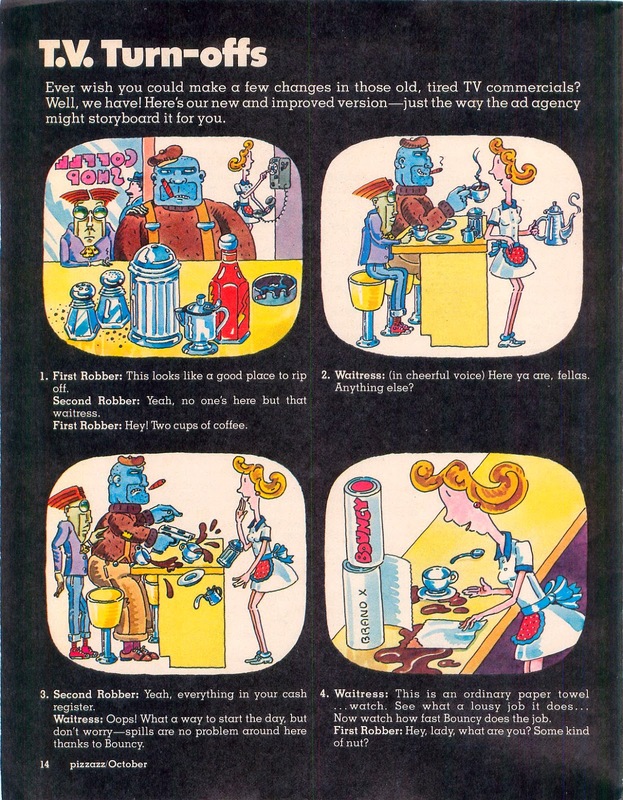 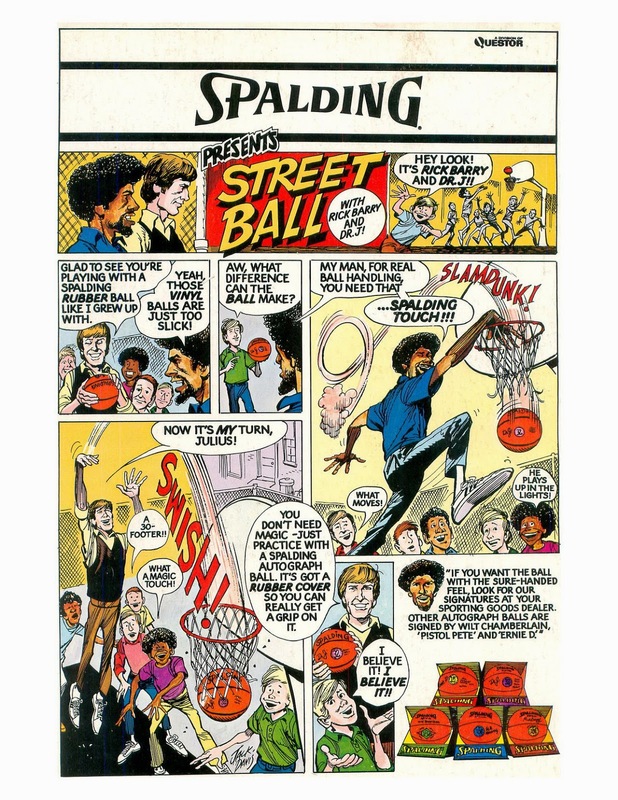 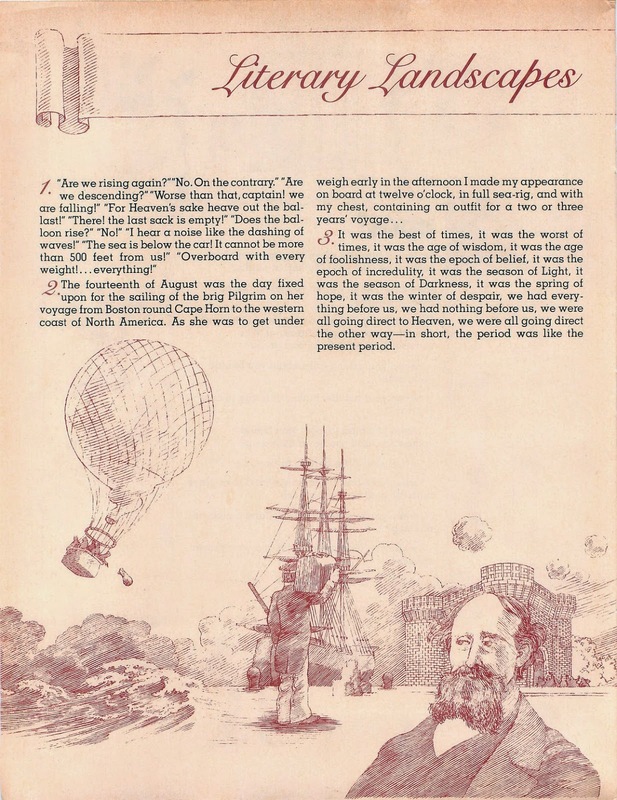 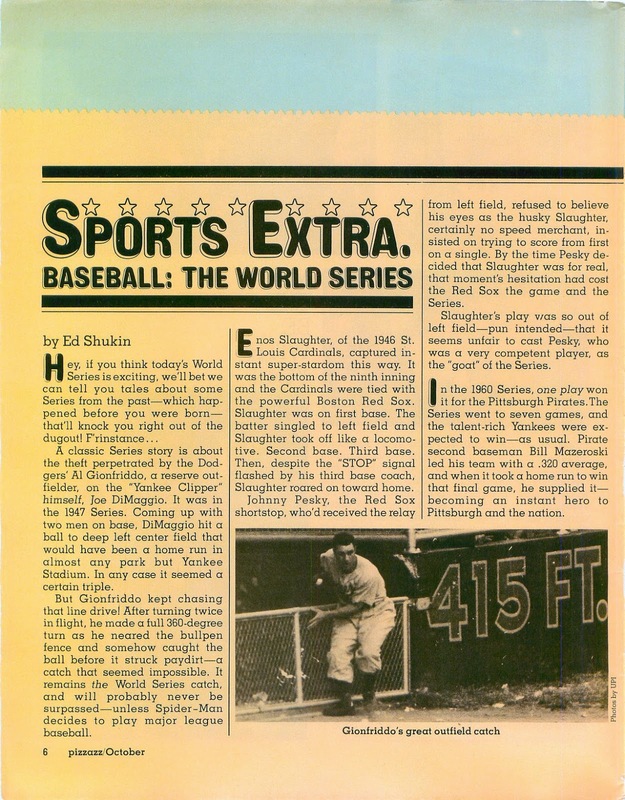 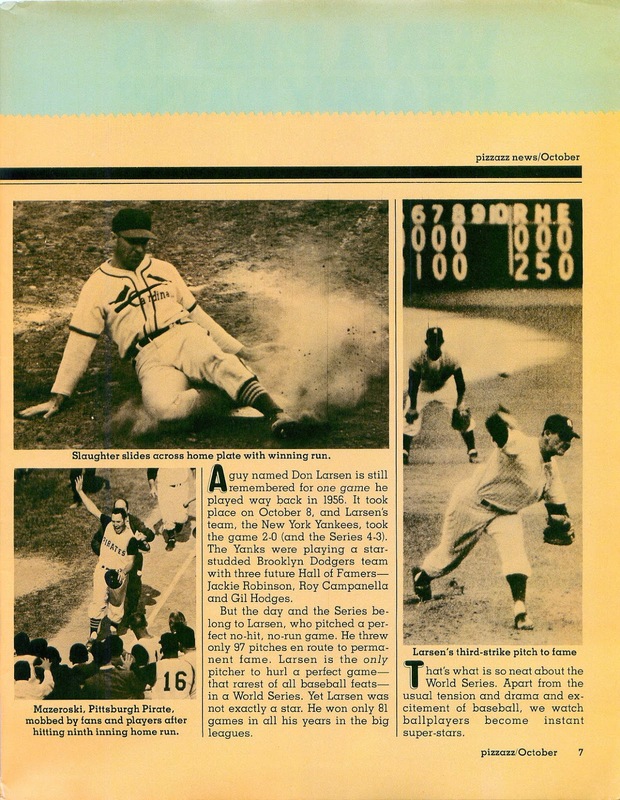 Here's the whole of the first issue, along with nostalgia inducing ads.